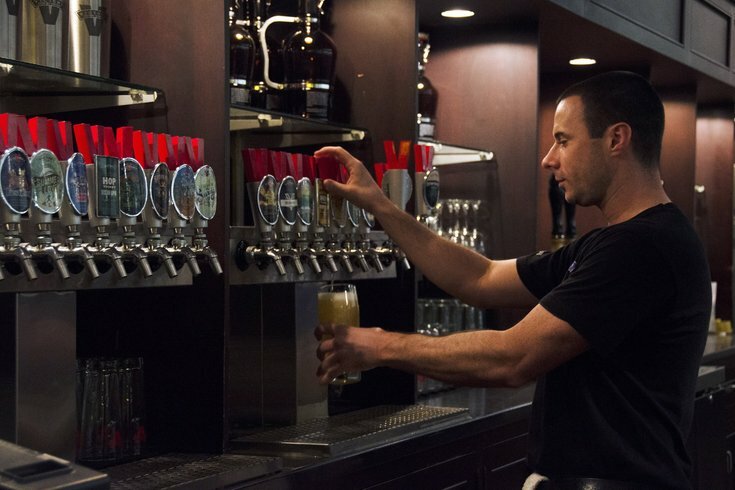 Mike Brown, a bartender at Victory Brewing Company in Downingtown, Pa., pours a Victory beer for a customer. On Friday, Feb. 15, Victory Brewing Co. is celebrating 23 years since the Downington, Pennsylvania, brewery opened by adding three new beers to its year-round offerings. One of the new brews will be Twisted Monkey, a sibling to the popular Golden Monkey and Sour Monkey – both 9.5-percent ABV. The new Belgian-style ale won't be as heavy. The 5.8-percent ABV beer has a splash of mango and is described by Victory as an "approachable, refreshing, easy drinking beer." The other two new brews are No Brainer and Cloud Walker. Both are fruity IPAs weighing in at 6.8-percent ABV. "No Brainer will become the everyday favorite you just can't resist. And based on the incredible response to our draft offering of Cloud Walker, we're releasing this New England-style IPA in cans," said Victory on Facebook. In addition to the new beers, Victory will roll out new packaging and label design to celebrate the brewery's 23rd anniversary.